"Muir Mathieson appears first with the Sinfonia of London, the ad hoc orchestra which he founded in 1955, consisting of players from the London orchestras, chiefly for film music but also much employed by World Record Club, itself an offshoot of EMI. This stylish recording of the Così fan tutte Overture first appeared on LP with Eine Kleine Nachtmusik and Schubert’s Fifth Symphony. Beulah have made something of a speciality of Come scoglio, with recordings featuring Suzanne Danco (2BX177), Teresa Stich-Randall (1BX167) and this one with Helen Lawrence, already released on Beulah Extra 8BX55. 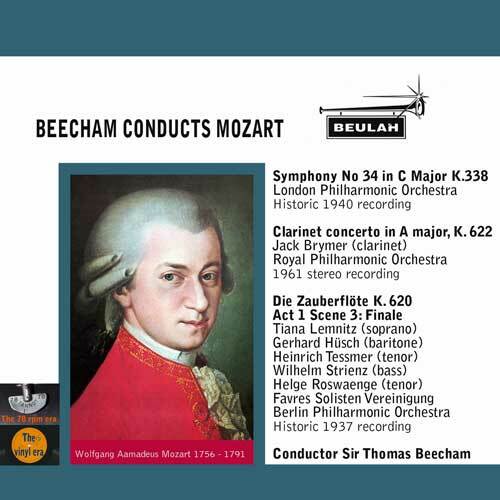 Reviewing Lawrence in a number of arias on various Beulah Extra recordings in October 2010 I thought the Mozart the pick of a fine bunch, with excellent support from orchestra and conductor and more recent sound than on other Beulah reissues . Géza Anda was one of the first to record Mozart piano concertos in the dual role of soloist and conductor. Though not universally well received on their appearance, his recordings still sound stylish over 50 years on. What then seemed lacking in charm is more in tune with the modern view of Mozart as anything other than a figurine on a pedestal. 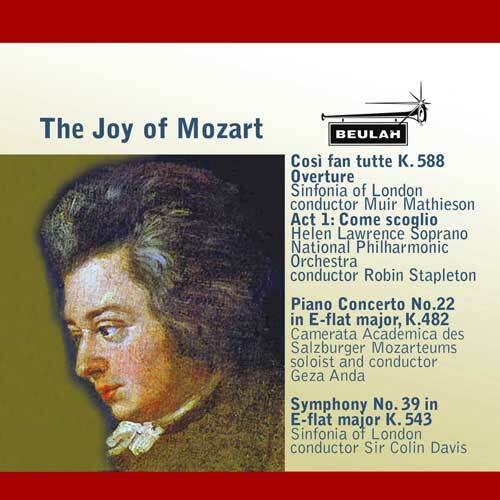 If you want that older view of Mozart at its best, Beulah Extra have Annie Fischer and Sir Adrian Boult in Piano Concerto No.20, K466 (1-3BX130), and No.23, K488 (5-8BX130). 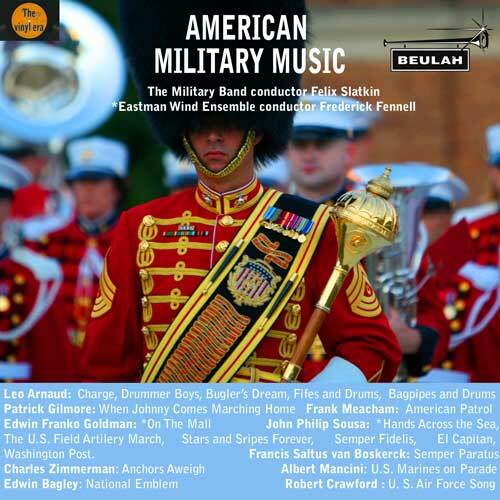 Beulah Extra downloads are high quality 320kb/s MP3 files. They are not grouped into albums. You can buy any combination of movements or works that you wish. 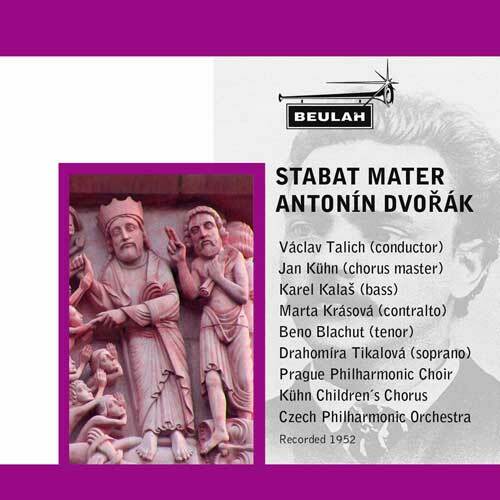 "The Prague is certainly treated to some measured tempi but there’s a lightness of touch that’s as much a tribute to the excellence of the early 1960s Philharmonia as to the conductor. The slow movement is a touch slower than you may think ideal and Symphony No.39 follows too hard on the heels of No.38 but overall I enjoyed this reissue. The recording sounds almost brand-new. With No.39 we enter deeper waters and it requires a different, more serious approach, which it receives from Klemperer. ‘More serious’ doesn’t have to mean ‘heavy’ and there’s plenty of flow in the allegro section of the opening movement, taken considerably faster than by Karl Böhm in his recording with the BPO from much the same period . I like Böhm’s Mozart – it hasn’t really dated – but I award the palm to Klemperer in this movement. The second movement is marked andante con moto. Klemperer’s tempo is a little too slow for me – considerably slower than Böhm – and the moto sometimes gets slightly lost but the compensation is that we are encouraged to take the movement really seriously. The allegretto third movement chugs a little – a stately minuet, but that’s better than the breakneck speed on some more recent recordings and the finale, with repeats duly observed, goes swimmingly; for once I disagree with Trevor Harvey, whose reviews did much to inform my record purchasing in the 1960s, and who thought Klemperer’s finale lacking in humour. 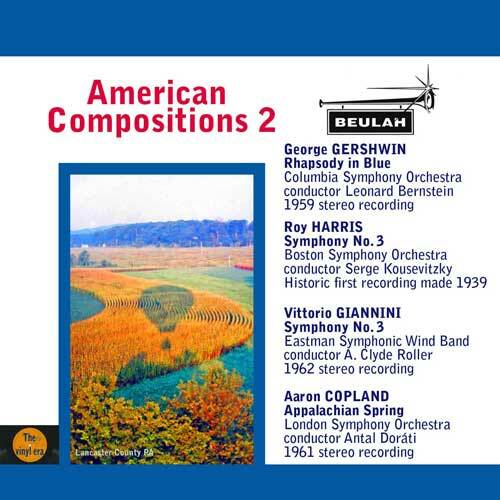 Much as I enjoyed Klemperer’s account of No.39, however, there’s another Beulah recording which I prefer, from Colin Davis with the Sinfonia of London. No.40 was released on LP with No.41 on Columbia SAX2486 (see below). 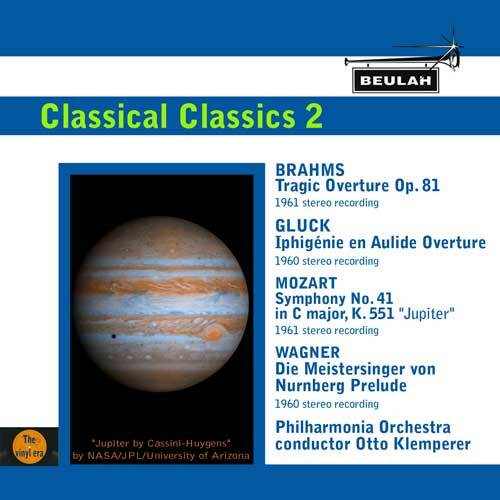 The opening movement is measured but far from heavy: if anything, it’s a little lacking in power, but the affectionate account of the slow movement – not a quality you might expect from Klemperer – does a great deal to atone.
" 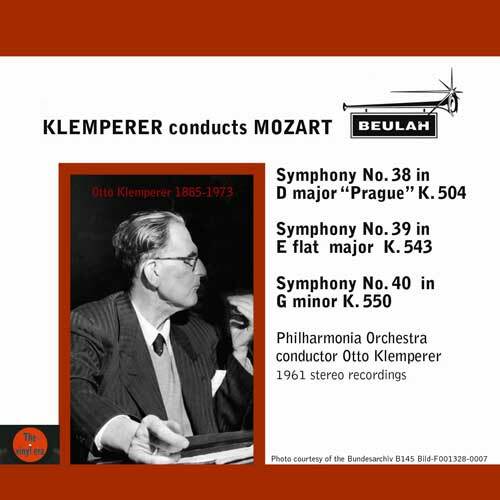 If you like Klemperer’s Mozart, you can complete the set with his account of Symphony No.41 Jupiter, K551, also recorded with the Philharmonia in 1961. 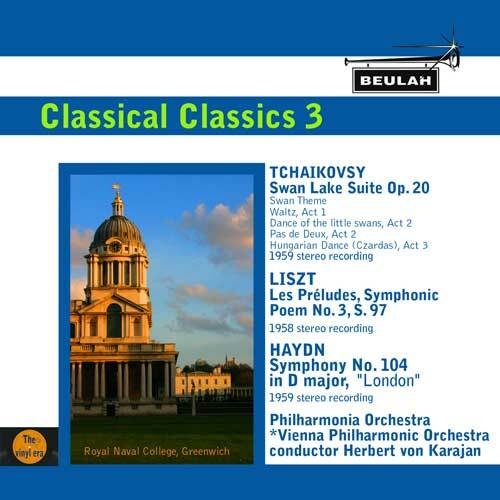 Having been somewhat critical of the earlier symphonies, I took my mp3 conversion of No.40, added No.41 and played them one after the other, sitting in an armchair without the wherewithal to make notes, and really enjoyed hearing them both. This recording of the Tragic Overture, originally released with his account of Symphony No.2 (Beulah 2BX114-7), is as good as it gets. This a classic recording of the Clarinet Concerto, by no means outshone by Brymer’s later recordings with Colin Davis (Philips Solo) and Neville Marriner (Philips): all three are still among the best available. The other two Brymer recordings remain in the catalogue but this version with Beecham seems no longer easy to obtain in the UK, so the Beulah album is worth having for it alone. Brymer and Beecham linger unconscionably long in the slow movement, perhaps inspired by the mistaken notion that Mozart knew his days were numbered. There’s no evidence for that in his letters to Constanze at the time but, however mistaken the idea may be, there’s no denying the beauty of this performance. 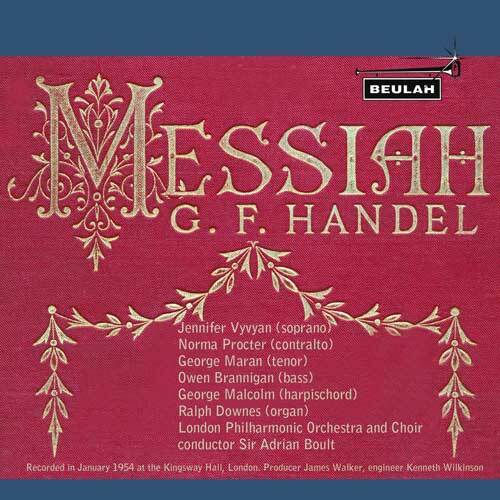 The sound is a trifle thin by comparison with the Klemperer recordings, made by another branch of EMI at around the same time, but more than acceptable in this transfer. Though the extract from Zauberflöte sounds fine for its date – better than the 1940 Symphony No.34 – it’s not, for me, the ideal way to complete this album – I enjoyed it so much that it made me want to hear this recording of the whole opera, available from Naxos Historical (8.110127/8 – review) or Nimbus (NI7827, 2 CDs – review) and still well worth hearing. The Beulah collection doesn’t really hang together as a programme except as an example of Karajan’s conducting from before his time in Berlin when much of what he recorded became somewhat too streamlined for many listeners. As a taster for the complete Swan Lake Karajan’s recording of the Suite, if you’re not in the mood for the whole ballet, is about as good as any. Karajan’s Les Préludes is a little understated by comparison with some other recordings, but none the worse for that. 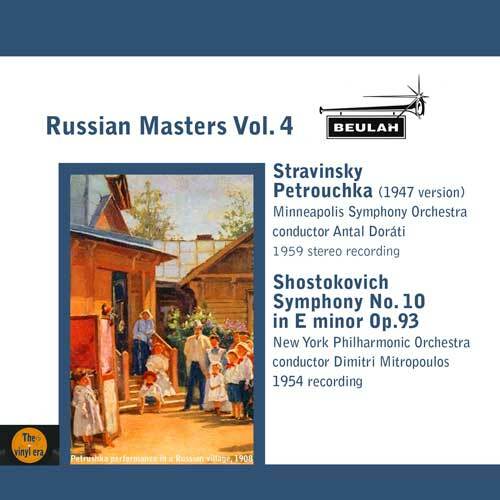 Though his BPO version on DG is available in a number of combinations, this Philharmonia recording appears otherwise only on the 12-CD Warner set (2564633623) so the release on this album is particularly valuable. I haven’t been able to hear the Warner transfer, but I doubt if it’s much better than the Beulah. Though first released by RCA, the Haydn recording was made by Decca and it’s still available from them, coupled with Beethoven Symphony No.7 , on a 9-CD set. If none of those couplings appeal, especially if you baulk at the idea of buying a gigantic box, the Beulah transfer is good. The performance is rather more plush than usual nowadays, falling slightly between the two stools of Sir Thomas Beecham and Sir Colin Davis. It’s with Davis and Jochum, however, that Karajan is most aptly compared. Both, like him, use modern instruments. I’d still go for one of those three for my Desert Island but this time round I’ve grown to like the Karajan more than before and it would certainly provide a more than satisfactory alternative, especially now that it comes in tandem with two other attractive examples of his pre-BPO days.